As you know, Porsche has always been famous for their fantastic designs and durable vehicles. The truth is that even though not everyone can buy a Porsche, it is one of those manufacturers that are really worth every cent. One of the best things about Porsche is that they keep innovating and developing new technologies and features to continue to build safe, useful, fast, and overall, incredible cars. 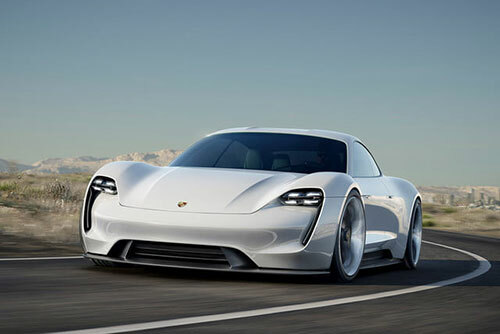 So, it’s not a big surprise that the manufacturer decided to launch a fully-electric car – the 2019 Porsche Mission E.
The 2019 Porsche Mission E was revealed back in 2015. However, it is now entering the final stages of development and production. 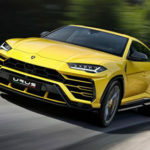 It should be placed between the 911 and the Panamera and is a four-door sports car, with an entirely electric powertrain. Discover the best SUVs in 2018. 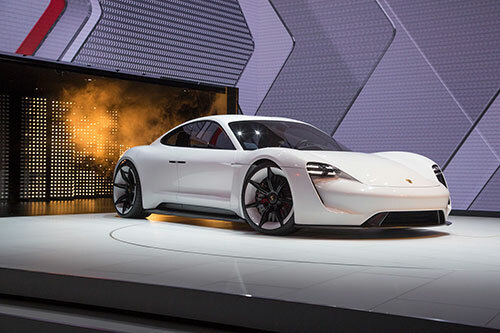 The 2019 Porsche Mission E had its debut at the 2015 Frankfurt International Motor Show. 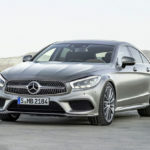 According to the manufacturer, it will go on sale by the end of 2019. 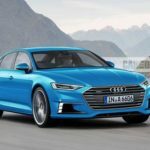 Even though there isn’t an official price, the truth is that we already know that it is taking the spot between the Panamera and the 911. 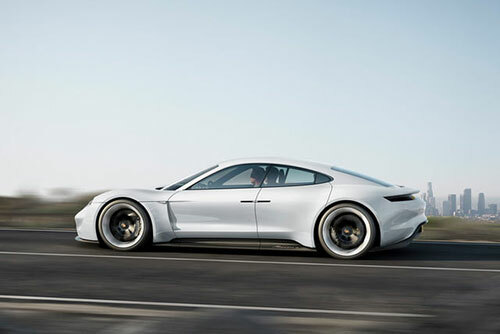 So, according to our opinion and most rumors that we have been reading and hearing, the starting price of the 2019 Porsche Mission E should be set at, at least, $80,000. One of the things that Porsche likes to do is to surprise their fans. 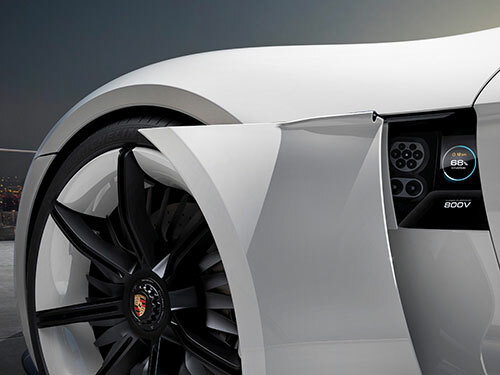 So, they are really quiet about what we can expect about the exterior of the new 2019 Porsche Mission E. However, and according to the company boss, “the design is fixed.” Besides, the final Mission E will look “very close to what you saw two years ago” in the Frankfurt International Motor Show when it was debuted. 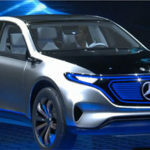 According to some of the images that we already saw, we believe that the front Matrix LED headlights will come with some innovative sensors that will serve as assistance systems. Besides, we also believe that the exterior mirrors will be replaced by cameras. This way, you’ll be able to see the reflexion of the images that are located on the lower windshield corners. In what concerns with the back of the 2019 Porsche Mission E, we think that the design will combine a black glass with a continuous light strip. One of the things that many people always feel anxious about when a new Porsche is on the way is to see what is under the hood. One of the best things about the 2019 Porsche Mission E is the fact that the powertrain is entirely electric and, according to most rumors, it should go head-to.head with the Model S from Tesla. 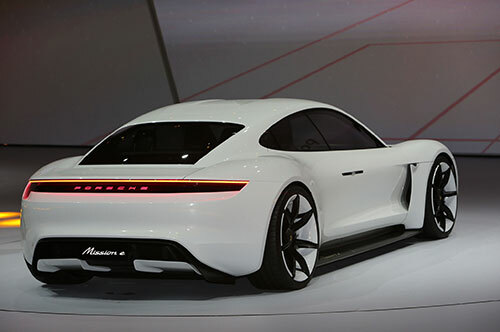 After all, the initial concept of the 2019 Porsche Mission E had a 600bhp engine. Besides this, another advantage of the new 2019 Porsche Mission E when compared to the Tesla’s Model S is the battery booster. According to Porsche, there will be a new rapid-charge booster that will take less than 15 minutes to reach 80%. In the case of the Model S and the supercharger they use, it takes about 40 minutes to reach the same 80%. The truth is that we don’t know almost anything about the interior of the 2019 Porsche Mission E. However, there have been a lot of rumors about this four-door sports car. According to them, you should expect to get four individual seats that are inspired in racing seats to provide the maximum comfort to all the passengers. In addition, there should also be 5 round instruments that will be virtually displayed using the OLED technology as well as 3D display moves with the driver (up, down, left and right). 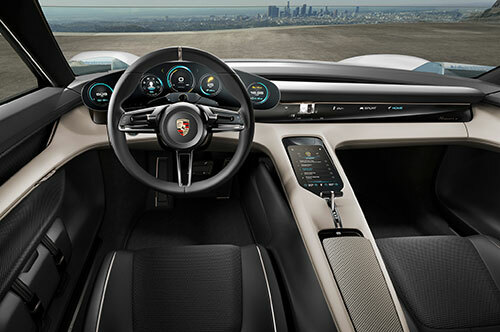 Other than that, you can expect that the 2019 Porsche Mission E cabin is built only using the highest-quality materials as well as it will have, without any question, a huge number of entertainment and safety features.